Is it too late to post my December plans? After a muslin marathon I finally decided what pattern to use for my festive dress. It will be a mix of McCall's 6696 and Burda 5/2010#137, with a half circle skirt. I'm using a black jacquard fabric and some lovely silver buttons. Happy holidays! Now I want to see this. 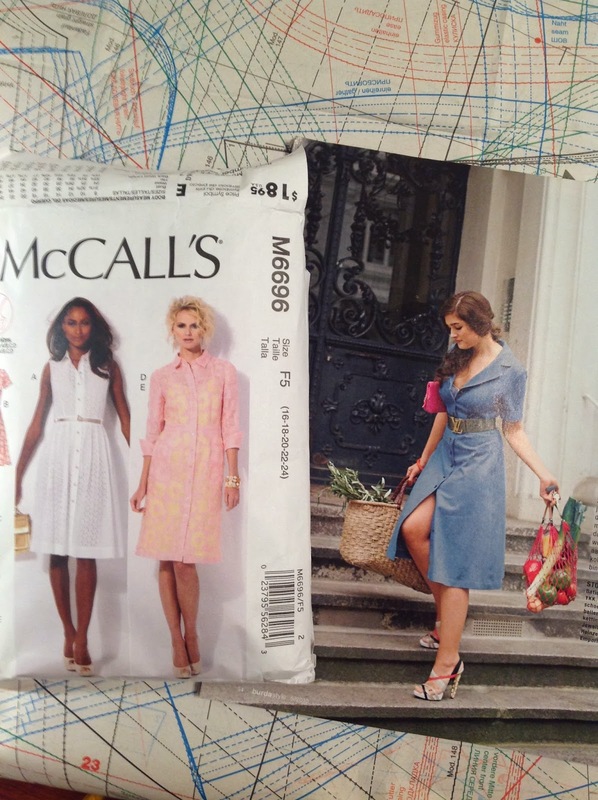 The McCalls 6696 is now on my cutting table to complete an Autumn of 1,000 Shirtdresses Challenge due January 10th. Idle ____ sold me on the pattern by constantly going on and on about it, LOL. It has grown on me. From January 2015 Make a Garment a Month will be moving to Facebook as a closed group. You can join us there. Email Sarah Liz to join - stylishsarah251@gmail.com. Reminder - Moving to Facebook in a few days..
Two-Toned Swirl Dress - December MAGAM = DONE! December Project off to a good start! Lovenicky's December Chainmail dress done! November MGAM Done! Workout wear!